Every Titan encounter is an "escape from certain death." 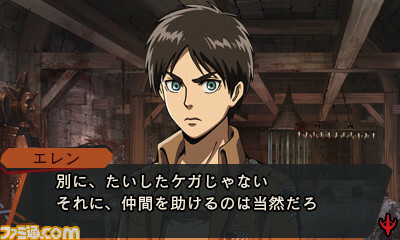 We just announced the debut of Attack on Titan: Escape from Certain Death, which is Koei Tecmo's latest addition to the Attack on Titan video game series. 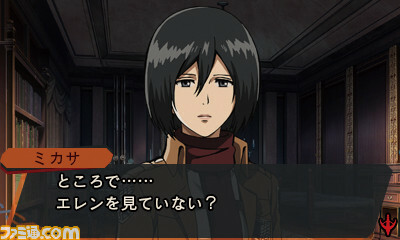 Famitsu has released an online preview of the game, and there's a few more details now floating around about it. 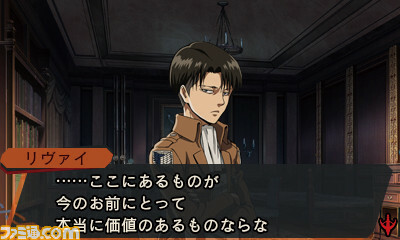 "While investigating the outskirts of a certain old castle, the Survey Corps are caught in a Titan assault. The ground collapses amid the chaos, and the protagonist ends up falling into an underground part of the old castle. Just narrowly escaping death, the protagonist cannot return to the surface as their Three Dimensional Maneuver Gear has broken. The protagonist links up with a single “partner” and attempts to escape the castle underground shrouded in mystery, but…?" We pretty much knew all this, but we've got a few screenshots now at the very least to sink our teeth into. It's got some decently sharp art, but unfortunately these are just dialogue shots. We should be seeing more of the game in the coming weeks, but take a look at the screens below in the meantime!